André Schürrle stormed down the left flank, his rapid pace always his most valuable asset. During this match – in this exact moment – he couldn’t have used it more effectively, propelling himself past two Argentine defenders whose arms were flailing everywhere. He looked up, picked out a wanting recipient, and swung in a cross. In one graceful swoop, Germany’s false nine cushioned the ball with his chest, pivoted, and volleyed the ball past keeper Sergio Romero. There was 112:21 on the clock. The Maracanã erupted, pilsners were spilt, and Germans sang songs into the early hours of the morning. Mario Götze had won Germany its first World Cup in almost a quarter of a century; he had reawakened a squad that had been in the doldrums for well over a decade. Meanwhile, 5,750 miles away in Florence, another Mario was grappling with a deluge of mixed emotions. Watching this historic moment on television was Mario Gómez. In 2014, the out-of-favour striker was desperately attempting to revive his career, which had stalled due to a few nasty injuries and lamentable form. Gómez, very much a component of the German national team’s old guard, would look on at Götze’s moment of magic and wonder whether he was destined to ever feel that wave of euphoria with his international teammates. Being namesakes is practically the only similarity the two men share: the cherubic, five foot nine inch Götze a purveyor of superlative technical and playmaking skills sits in stark contrast to the towering Gómez, with a face and physique that looks like it’s been chiselled out of pure marble by the gods themselves, more renowned for his physicality and no-nonsense, killer instinct in front of goal. Die Mannschaft were thriving with a fluid, false-nine setup, and Gómez was the truest embodiment of the number nine that you’re likely to find. Götze’s performances for Borussia Dortmund earned him a deal at Bayern Munich in 2013, and Gómez left the Bundesliga giants the same year after being supplanted by another Mario, Croatian striker Mandžukić. Gómez sought a move to Fiorentina – a risk that ultimately didn’t pay off. This wasn’t Gómez’s first setback, though, and it wouldn’t be his last. “As a striker, your job is mostly to forget,” he once told The Players’ Tribune. The man from Riedlingen, a town with a population of 11,000 in south-west Germany, always seemed at odds with himself. His footballing education came in the guise of watching the Bundesliga weekly highlights show on television with his father on a Sunday evening – Gómez especially relished watching the trickery of Eintracht Frankfurt’s Jay-Jay Okocha. Mario’s dad, who was born in Spain, would often invite the extended family round to watch his homeland’s LaLiga, and like in most households, El Clásico was a popular event. While the rest of the family rooted for Real Madrid, ever the contrarian, Mario cheered on Barcelona – Romário was his favourite player. 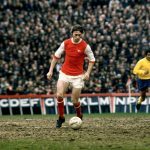 The young Gómez – considered a precocious talent with a ball between his feet – grew up attempting to emulate the feigns, tricks and bombast of the cadre of his dexterously gifted idols on the pitch, but his sturdy and tall physique wouldn’t allow it. As usual, Gómez remained undeterred and swiftly found his calling, flourishing by playing with a more clinical, potent and powerful prowess. He also had that sacred forward’s knack of somehow knowing precisely where to be just at the right time. After rejecting VfB Stuttgart’s initial invitation when he was 13, the big German decided to join them three years later. While playing for their youth team, his undeniable talent immediately impressed and he was called to the second team shortly after, where he scored six goals in 19 appearances during his first season, and went on to better that tally by netting 15 goals in 24 appearances the following campaign. Gómez was improving year after year, and upper management were starting to take notice. His inaugural appearance for Stuttgart’s first team came in March 2004, during a Champions League last 16 tie against Claudio Ranieri’s Chelsea. In the end, Stuttgart lost 1-0 on aggregate to the Blues, but this wasn’t the core takeaway for Gómez. In his eyes, after sharing the pitch with the likes of Frank Lampard and going toe-to-toe with Marcel Desailly, he had finally arrived on the big stage. He was just 18. Gómez credits his Stuttgart coach, Giovanni Trapattoni, as an instrumental figure in his journey. Although Trapattoni’s nonchalant manner had him worried at first, with the coach not caring to have a conversation bar the casual pre and post-training niceties, the two soon started to get along swimmingly. Giovanni even opted to stay late after training, sharing a few pointers with Gómez to help him to better his technique. After a fairly uneventful first season playing permanently for the first team, Gómez’s second season was anything but. 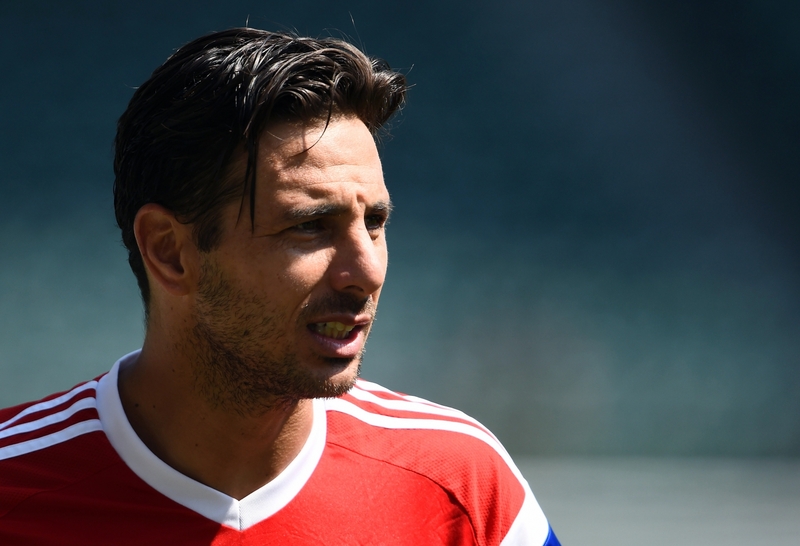 The striker helped Stuttgart claim their first Bundesliga title in 15 years, and he proved pivotal in the team’s meteoric rise to the top, scoring 14 goals in 25 league appearances. Gómez was subsequently named German Player of the Year in 2007. Like most teams that defy the odds and claim a title out of seemingly nowhere, carrying that level of performance over to the following season can prove to be a tricky feat. Stuttgart ultimately found it difficult to maintain the dizzyingly high standards of the 2007/08 season, and finished the following campaign in sixth. That didn’t stop their star man from scoring, though. Gómez even managed to better his goal tally from the previous year, finishing second in the Bundesliga’s top scorer list. His unerring consistency spawned the nickname Mr Reliable. Unfortunately for the Swabian outfit, reliability was something that Bundesliga behemoths Bayern Munich were on the lookout for. After Wolfsburg snatched the title from the Bavarians the season before, Bayern were hell-bent on bolstering their attacking line-up for the 2009/10 campaign. They had identified Gómez as their main signing, and living up to their reputation for snapping up promising players from Bundesliga underlings, they did just that, signing Gómez to help sustain their dominance. 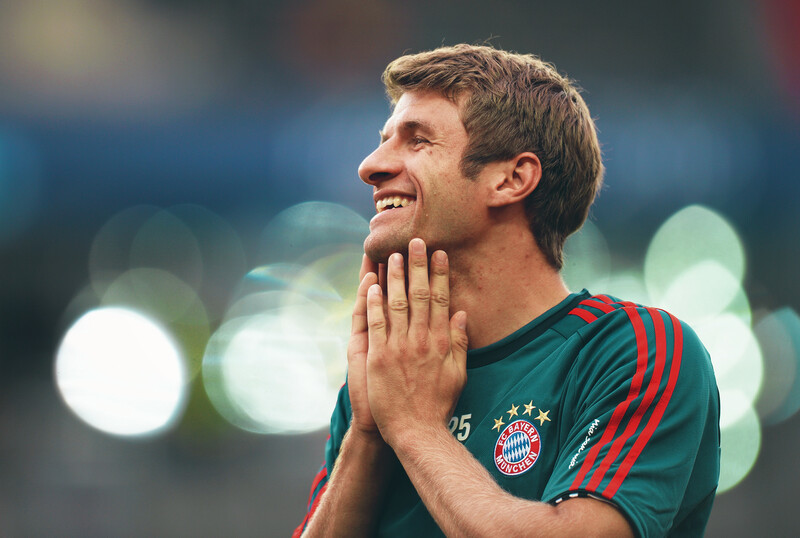 He joined Bayern for around €30m – the most expensive signing in the Bundesliga at the time. But with a hefty price tag also comes a formidable weight of expectation, and the man from Stuttgart initially found it tough to reach the performance levels he had demonstrated at his former club. So he did – patiently biding his time until he could impress the notoriously bloody-minded Van Gaal. He finished his first season notching 10 goals in 19 league appearances, and while that’s a laudable return for most forwards, it didn’t quite match up to Bayern’s high standards, and didn’t fully correlate with Gómez’s Mr Reliable tag. Up until that point, the Dutchman had failed to be impressed with Gómez’s performances, and the striker was growing increasingly frustrated. Eventually, due to Ivica Olić and Miroslav Klose being ruled out by injuries, Van Gaal gave the striker a chance. Gómez snatched it with both hands, scoring a crucial hat-trick against Hannover in a 3-0 win. It was the first time Gómez had scored in the Bundesliga for eight months. After locating his scoring boots, Gómez kept on finding the back of the net with aplomb, finishing the 2010/11 season as the Bundesliga top scorer with 28 goals. Despite the setback, he once again recorded a highly commendable goal tally for the season: 26 goals in 33 league appearances; two goals in five DFB-Pokal appearances; 13 goals in 14 Champions League appearances. While Gómez was being reliably clinical, his influence wasn’t enough to help the team claim any silverware. That was until the 2013/14 campaign. Sadly for Gómez, however, at this point he was considered a bit-part player. For Bayern’s triumphant season, when they won the treble, Jupp Heynckes signed the likes of Xherdan Shaqiri, Javi Martínez and Mario Mandžukić. Injuries hindered Gómez from breaking back into the squad, and Heynckes’ rigid rotation philosophy centred around Mandžukić, who went on to usurp the German. Not only that, Die Roten had been fairly candid about their plans to sign prolific Borussia Dortmund striker Robert Lewandowski. Gómez could sense something was awry, and to claim a place in Germany’s 2014 World Cup squad, he needed to be playing regular football – so he signed for Fiorentina for €20m in an attempt to do just that. His life at the Tuscan team started off with a bang, with the big German netting a brace in his second game for the club in a 5-2 mulling of Genoa in August 2013, but in a sad twist of fate, he picked up an injury during the following match that ruled him out for five months. Gómez returned after his lengthy layoff, determined to not let months on the sidelines diminish his game, and he scored Fiorentina’s only goal in a 1-1 draw against Juventus in first leg of the Europa League in March 2015. But injury was to rear its ugly head again 10 days later against Napoli as he damaged the ligaments in his knee for the second time, ruling him out for the rest of the season. Once again, the German’s renaissance was fleeting. After a summer recouping from injury and watching the national team win the World Cup, Gómez returned to the Fiorentina setup. But his impact was minimal, and although he managed to avoid injury, he recorded one of the least productive seasons of his career. He managed just four goals in 20 league appearances, four goals in four Coppa Italia appearances, and two goals in eight Europa League appearances for Vincenzo Montella’s team – a return that’s admissible for some players, but totally substandard for Mario Gómez. Cue a successful loan stint at Turkey’s Beşiktaş, which saw Gómez was back to living up to his Mr Reliable billing. He joined countryman Lukas Podolski and replaced outgoing striker Demba Ba to become the Istanbul team’s marquee signing in the summer of 2015. Gómez was pivotal in helping the team to claim their first domestic title in seven years, was the league’s top scorer with 26 goals, and claimed his place back in the Germany team. “Many said it was the end of my career, but it was the jump start I needed,” he said. Germany bailed out of Euro 2016 rather prematurely to France in the semi-final, though, with Gómez unable to play the match due to picking up a hamstring injury during the quarter-finals to Italy. They went into the match with France without an out-and-out striker. Gómez returned home to Germany and joined Wolfsburg, who signed him from Fiorentina for a reported €7m. In a bizarre press conference, the 31-year-old conceded that Die Wolfe weren’t the first club on his transfer list, though. “I wanted to play Champions League football, but most clubs already had enough options in attack,” he said. “In the end, the complete package Wolfsburg offered and my desire to return to Germany were decisive.” Nevertheless, he pulled up his socks for the team and scored 16 league goals in the 2016/17 campaign, helping Wolfsburg to narrowly avoid relegation via the playoffs. His time at Wolfsburg always had transience writ large over it, though, and after scoring just once in 15 games during the first half-season of the 2017/18 season, the German rekindled his relationship with his boyhood club, VfB Stuttgart. So far, it has been the dream homecoming for the voracious goal-scorer. Stuttgart were spiralling towards the relegation zone at the start of the year but Mr Reliable has helped steady Die Schwaben. The old Gómez appears to be back and everybody has taken note – including Germany coach Joachim Löw, who gave Gómez a place in the recent international friendly matches against Spain and Brazil. The strangest thing of all perhaps, is that of the pantheon of Bundesliga greats, will Gómez’s name ever be mentioned? According to stats compiled by bundesliga.com last December, the Stuttgart man has hit the net 155 times in 281 Bundesliga matches and contributed 47 assists. Only four players have a better goals-to-minutes ratio than the former Bayern man, too: Gerd Müller found the target every 105 minutes, Lewandowski and Pierre-Emerick Aubameyang every 115 minutes, Márcio Amoroso every 124 minutes and Gómez every 125 minutes. 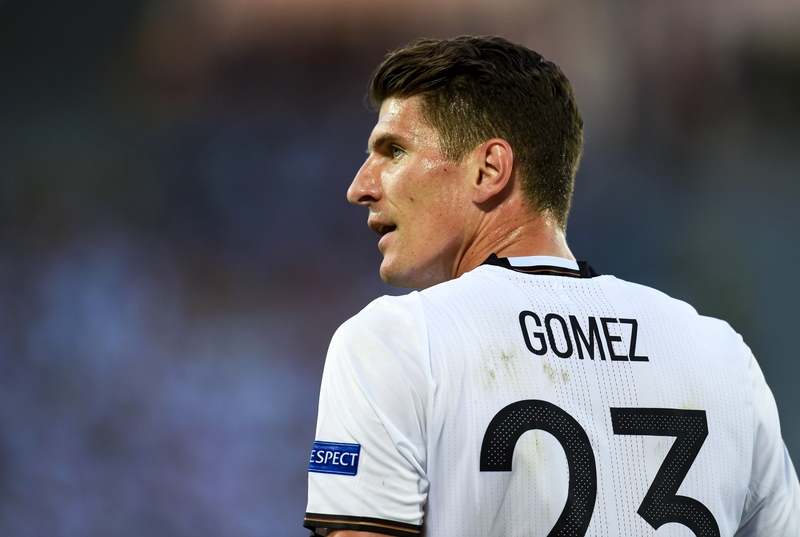 Gómez will be planning to keep his rich vein of form consistent enough to make the Germany squad in the summer. While he’s not likely to be picked ahead of the 22-year-old RB Leipzig man – and Friedberg marksman Nils Petersen has become a prime contender for the forward position, too – Gómez will be profoundly aware that this could finally be his international swansong. In an interesting turn of events, it’s looking likely that the 32-year-old will be picked to represent Germany ahead of 2014 golden boy, Mario Götze, who has endured a chequered last four years. It just goes to show, reliability is everything in this game.